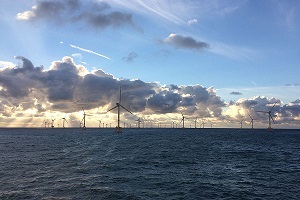 BRUSSELS, 19 MARCH 2018 – The Dutch Government has awarded Vattenfall in a tender to develop the twin Hollandse Kust Zuid offshore wind farms. The two 350 MW wind farms, to be built by 2022, will be the world’s first to be built without public subsidy. WindEurope CEO Giles Dickson said: “This news shows zero-subsidy bids are possible for some developers in some markets not least where Governments take on and manage a share of the project risk. In this instance the Dutch Government taking care of the grid connection is a significant factor. Plus the Dutch Government has successfully minimised the risk linked to offshore wind by giving clear visibility about future market volumes. And the new Dutch Government has committed to bring in a carbon floor price at national level which will help the business case for offshore wind. “Wind energy is showing again and again that it can deliver ever more capacity for less cash. That’s the key message other governments should take from this: they should revise their ambition upwards in their national energy plans and offshore wind is a great way to help them do this”.